Cultured South offers 12 flavors on tap, plus creamy kombucha floats and vegan snacks. "I like to say I got my mother from my grandmother." That sentence is confusing unless you know that Melanie Wade is referring to the "mother" kombucha culture she uses to make Golda Kombucha, which, indeed, did come from her grandmother, who started brewing the fermented tea beverage at home over forty years ago. On May 20, Wade opens Atlanta, Georgia's first-ever kombucha taproom, called Cultured South, and she's hoping that people in the region learn more about the wonders of the "folk remedy" drink. "Fermentation is a lot more popular out West in California and Oregon and Washington; with the South and Southeast, we’re just now getting into kombucha and fermentation," she says. "Though it's been in people's families for a long time." 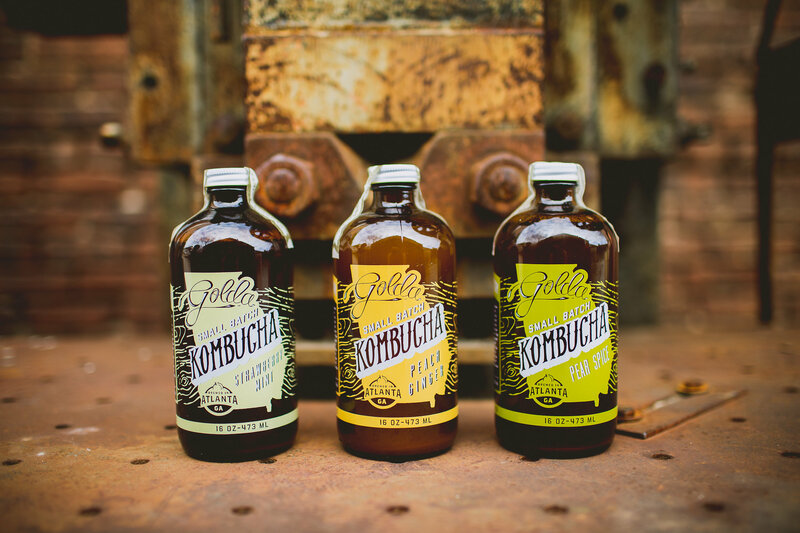 Wade, who began making Golda Kombucha in 2013 and has since been a fixture at local farmers' markets, decided it was time for a brick-and-mortar location. When Cultured South's doors open next week, there will be twelve kombuchas on tap, with the goal of eventually expanding to thirty. (Core flavors include peach-ginger, strawberry-mint, lavender-lemon, hisbicus-organge, elderberry-thyme, and blackberry-basil.) Guests will be able to enjoy them as a flight – as you would with beer – or individually, alongside snacks like vegan cashew cheese, which is made from the exact same culture Wade uses to make her kombucha. She'll teach make-your-own kombucha classes, too. "We'll do vegan floats and non-vegan kombucha floats," she says. "It's kombucha with a dollop of gelato on it. We usually do locally made and sourced Revolution Gelato—which is a vegan gelato. We also use a dairy offering, called Honeysuckle Gelato, which is made in the same complex as us." Located in an old industrial warehouse, the taproom and brewery overlooks the Atlanta Belt Line. 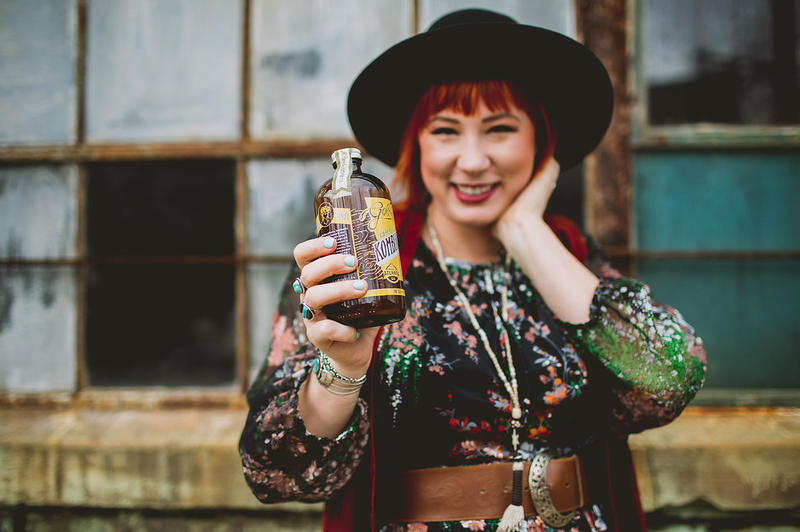 "When we first started out, no one really knew what kombucha was," she says. That, of course, has changed. In the upcoming months, Wade hopes to do drinking vinegars, as well – another low-pH beverage with remarkable health benefits. Cultured South will host the 2nd annual Atlanta Fermentation Fest on Sunday, May 20th from noon to 6pm at Lee + White.